Thomas Hardy (1840-1928) considered himself a poet first and foremost but most remember him as a novelist who not only authored Far from the Madding Crowd but also The Mayor of Casterbridge (1886), Tess of the d’Urbervilles (1891), and Jude the Obscure (1895). It’s also been made into a movie several times starting in 1915. The 1967 remake earned Best Film and Best Actor (Peter Finch) awards from the National Board of Review (1967). It was also nominated for an Academy Award for Best Music, Original Music Score (1968) as well as other nominations for cinematography and costumes. (IMDb) Other interpretations of the book appeared on the big screen in 1998 and 2015. Far from the Madding Crowd is a classic Victorian romance. 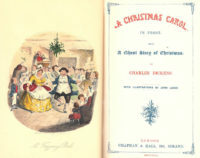 Some think that as good as the book is, its cinematic interpretations, particularly the 1967 version starring Julie Christie and Peter Finch, may surpass the book. Read the book online through Project Gutenberg or watch the 1967 classic version this Sunday (September 23, 2018) at 5 p.m. on TCM. Recollections designs and manufactures history-inspired fashions in Hawks, Michigan, USA. What might have Bathsheba worn? Here are a few examples. So, what were the fashions of the day? Bathsheba started out on her aunt’s farm. 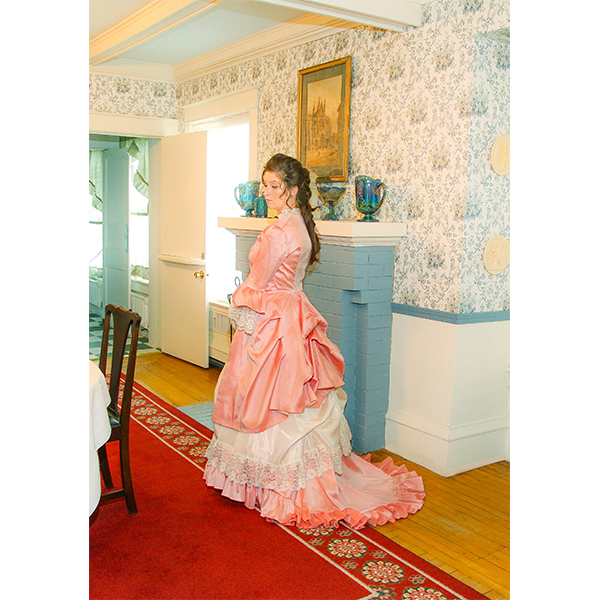 Our Harper Victorian Pioneer Dress would fit well with the clothing she would have worn at this time. The day of the hoop skirt was done by the 1870s and all that fabric migrated to the back of the skirt. For daily wear, it’s quite possible that our Misha Victorian Ensemble would have been found in her wardrobe. Fancier occasions might have seen Bathsheba wearing something like our Perla Victorian Polonaise Bustle Dress. The ‘soft’ bustle was very popular during the first half of the 1870s.